The most relaxing and cheapest way to enjoy the panoramic view of the Buda Castle is on tram line 2. You can use a regular BKK ticket, and you will soon realise that most of the passengers are tourists. 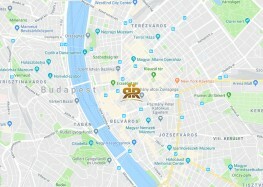 The tram runs along a wonderful line, on the bank of the Danube on the Pest side. From the window, you can admire the Gellért Hill, the Buda Castle, the Fisherman’s Bastion and the Parliament. Its most popular section is between Fővám tér and Jászai Mari tér, where the line ends. During public holidays, vintage vehicles operate on this line.